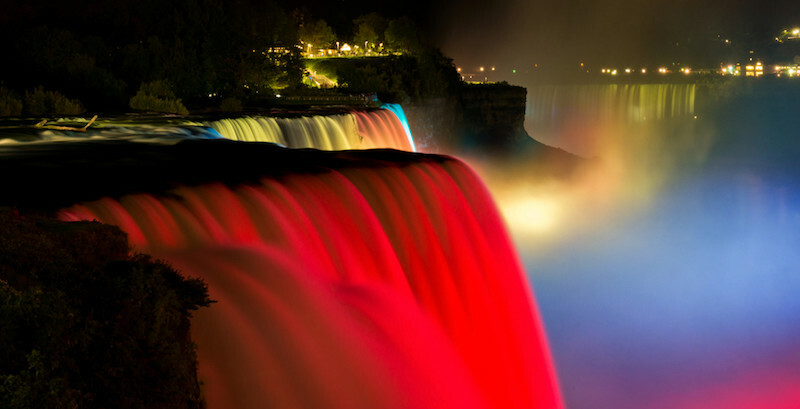 “On the America’s side of falls you get to feel the Niagara whereas in Canada's you get to enjoy the vistas more”. 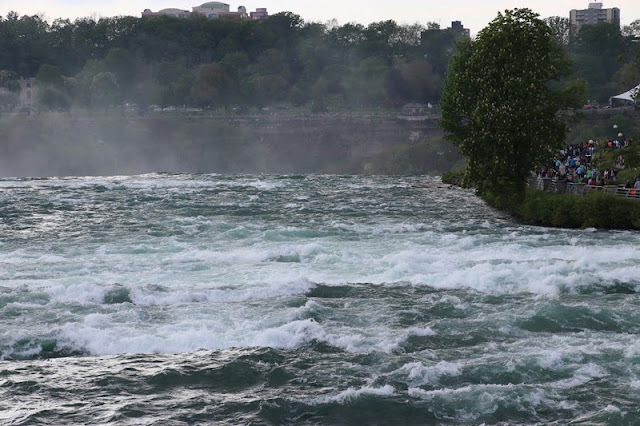 On the American side you can walk by the Niagara River and see it fall as two waterfalls (Bridal Veil and American Falls) right next to you and Horseshoe falls from the observation deck. 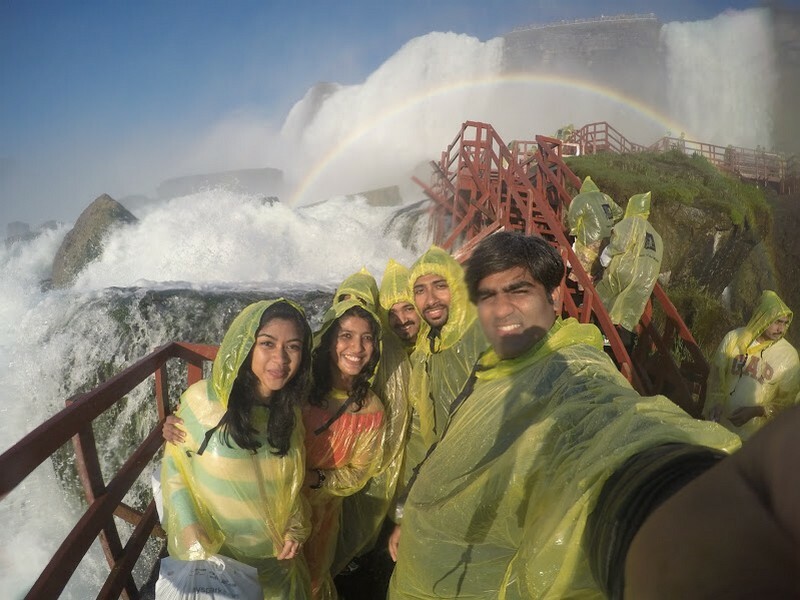 So, the two falls are there and its falling and then you wonder how it would look from the front for a selfie worthy picture and thats when you land in Canada and then you get to see the humongous Horseshoe Falls and Bridal Veil and American Falls right from the pedestrian walk itself from the streets. 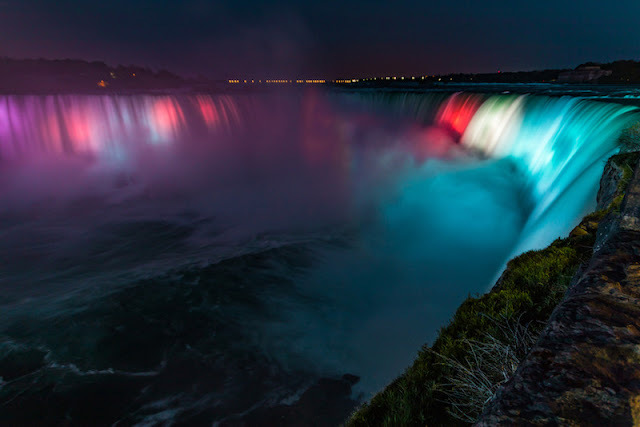 "The Bridal Veil is the smallest falls among the three waterfalls, that together known as the great Niagara Falls. The Bridal Veil Falls is in the US side located right to the American Falls separated by Luna Island. 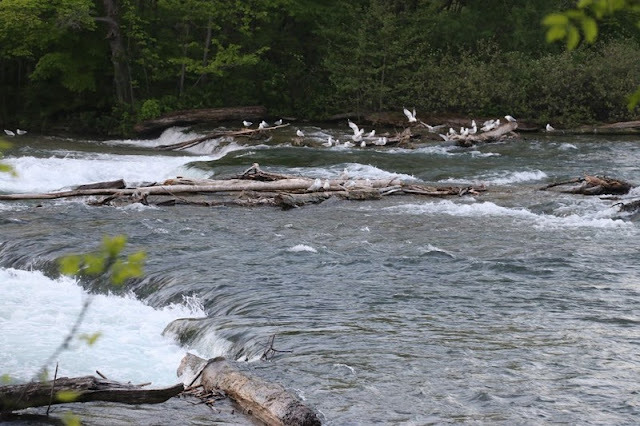 The Goat Island in the Canadian side separates it from Horseshoe Falls. The waterfall looks like a 'Bridal Veil' and thus the name Bridal Veil Falls. 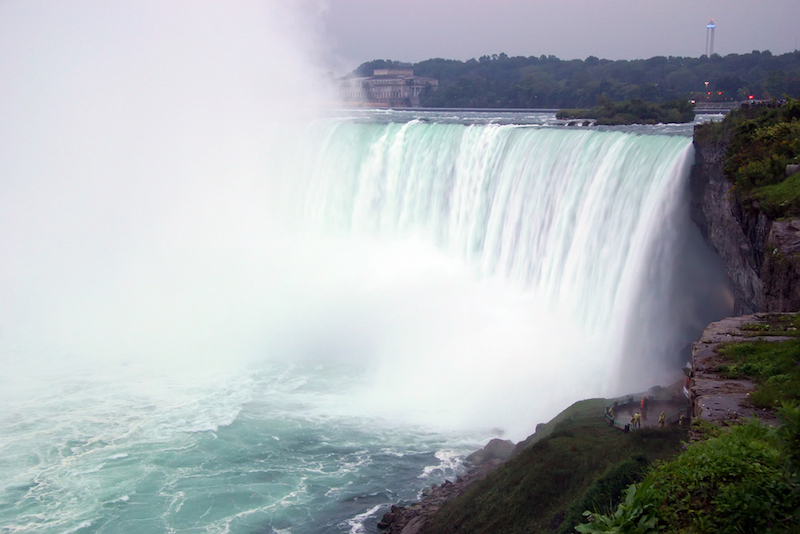 The Bridal Veil Falls is also known as Luna Falls and Iris Falls. The height of Bridal Veil Falls is 181 ft. "
The difference is, 5 years back when I had visited Canada on invitation of Canada Tourism to Niagara and places around Niagara, it stunned me on how marvelous it looked but where I came here to American side with my friends, I realized Oh boy! I love falls to be with me and when I was under the falls, it was freaking crazy pants! And thats why I loved the American Niagara Experience. The US side of Falls fall under the Niagara Falls State Park in Buffalo region and it has an entrance to it whereas the roar of the Horseshoe bend can be heard and seen loud and misty on the Canadian Side on a mile long pedestrian walk from the city itself. Both Sides have boat tour (American Side Boat Ride called Maid of the Mist and Canadian Side Boat Ride is called Hornblower cruises) that takes you to both American Falls, Bridal Veil Falls(American side of falls) and Horseshoe Bend(Canada’s Falls). The ponchos are given on site and you can wear them. 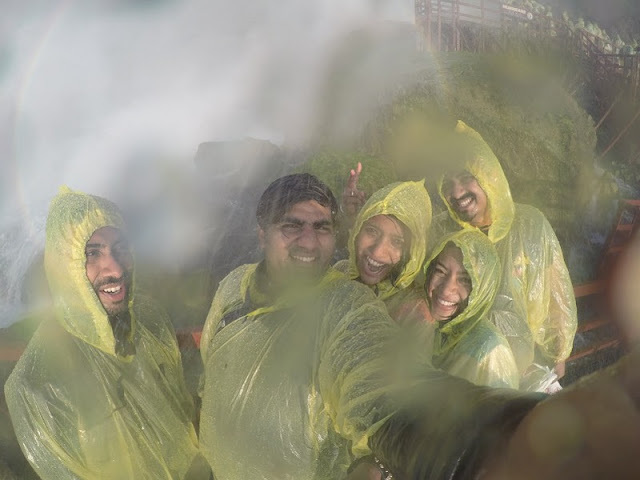 Be careful with your camera when very near to Horseshoe Bend - the mist and water falls on your ponchos and everywhere. 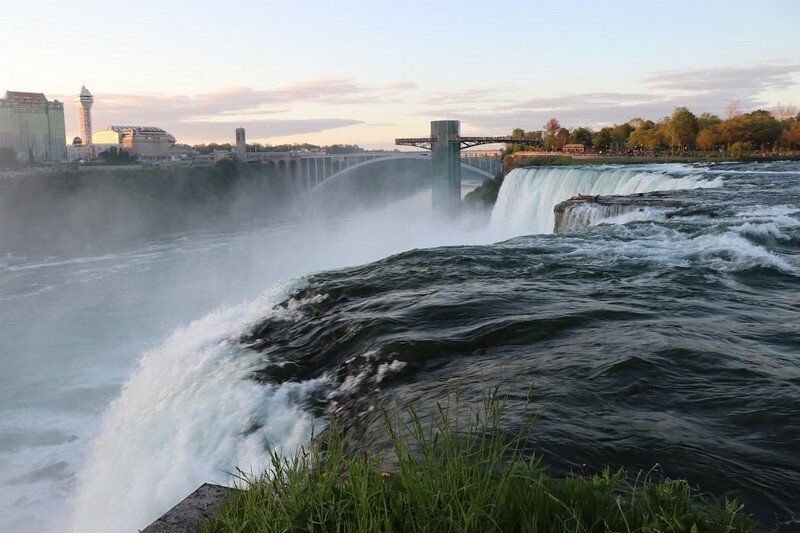 On the American Side of Niagara Falls, you have Niagara Falls Discovery Pass which costs about $45 and gives entry to Maid of the Mist, Observation Deck, Cave of the Winds, Adventure Theatre, Trolley, Aquarium of the Niagara, Discovery Center and Hiking Trails. 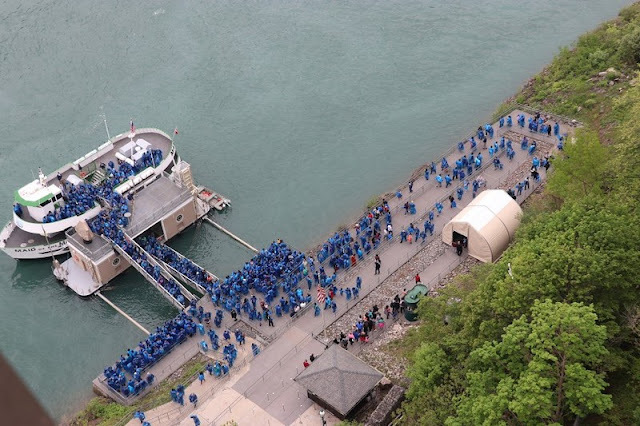 We did not got the pass, we got individual tickets for Maid of the Mist that includes Observation Deck($18) and Cave of the Winds because we did not have time to explore the rest of the activities. But if you have a full day and you arrive early, feel fry to get the Discovery Pass. 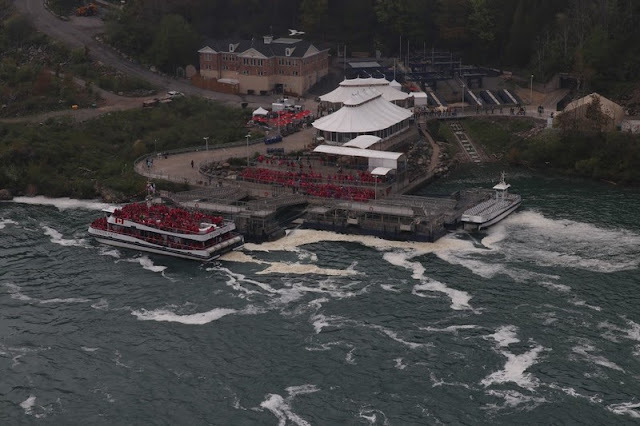 On the Canadian side, you have Niagara Adventure Pass which costs about $57 that includes Hornblower Niagara Cruises, Journey Behind the Falls, Niagara’s Fury, White Water Walk, Two days WEGO access and some coupons. You also have $90 pass which includes more activities including Whirlpool Aero Car. 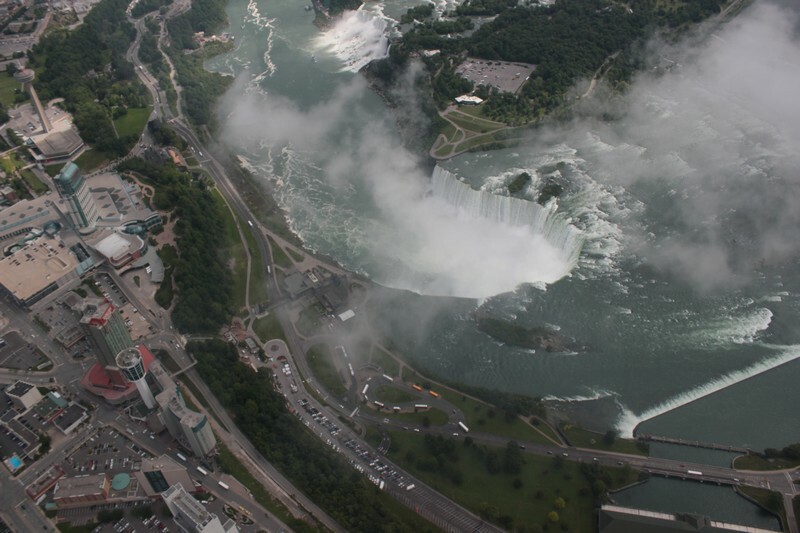 Helicopter ride over Niagara is a great way to see the falls!Did it 5 years back. When it comes to tourists , both sides are touristy. 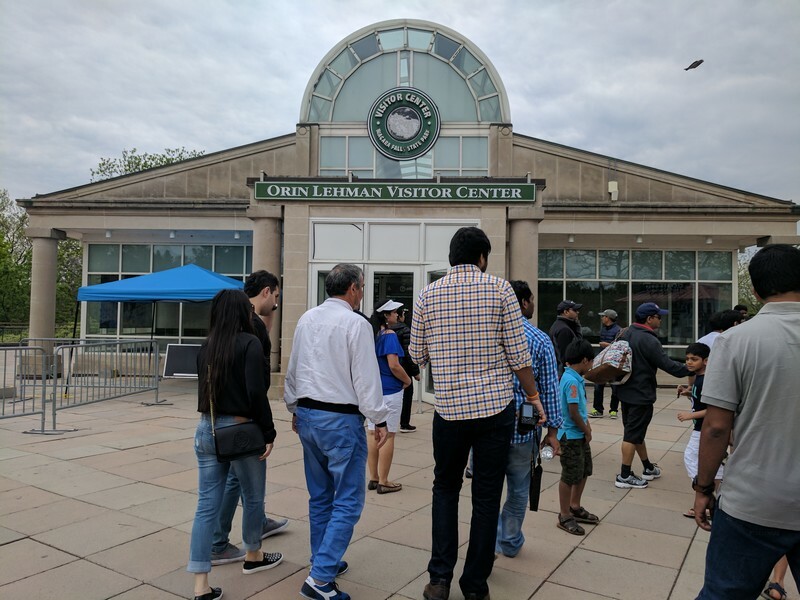 US seems to be a little more commercialized when it comes to Banners and Shops in front of Niagara State Park whereas Canada has kept it little more open however the entrance to the Niagara Falls is pretty much crowded and commercialized. 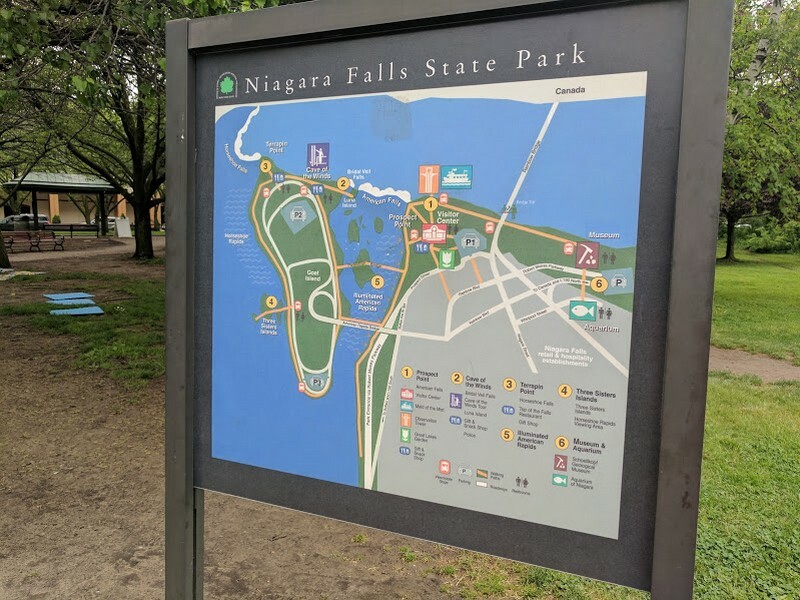 But once you get into the park, I liked the experience of the Niagara River plunging as a waterfall on to the US side where you can walk on the side walk ( in fact the view of Niagara from the US side is primarily side wise) whereas I like how Niagara on the Canadian side is just about the Niagara Falls and the town itself which has lots of activities to do. Comparing Journey Behind The Falls on the Canadian Side to Cave of the Winds on the American Side. 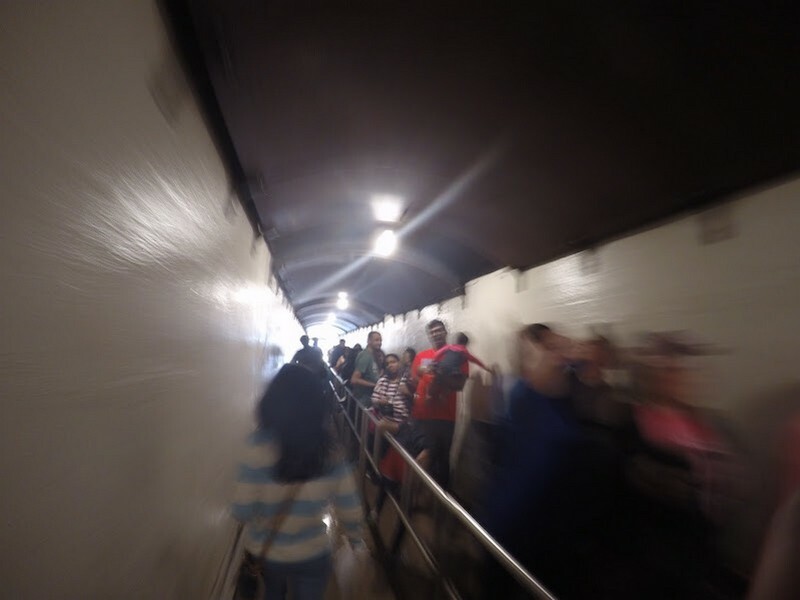 I liked Cave of the winds more, because you literally get to be under the falls on the Hurricane Deck of the Cave of the Winds. Cave of the winds is not cave by any means, it was once as I heard. Today there are build in decks / stairs / pathways to Niagara Falls which are reconstructed every summer.The Cave of the Winds, a wooden elevator takes visitors across the falls is a popular tourist attraction here. The Cave of the Winds was an old natural cave, which was closed due to rock fall in 1954. 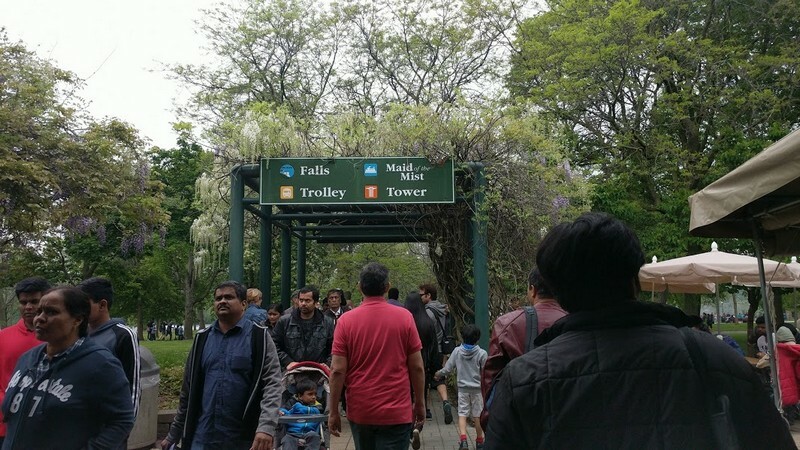 Now Cave of the Winds attracts diverse visitors to go close to the base of Bridal Veil Falls. Get to Luna Island or take 'Cave of the Winds' tours to experience the unmatched beauty of nature and the Bridal Veil. 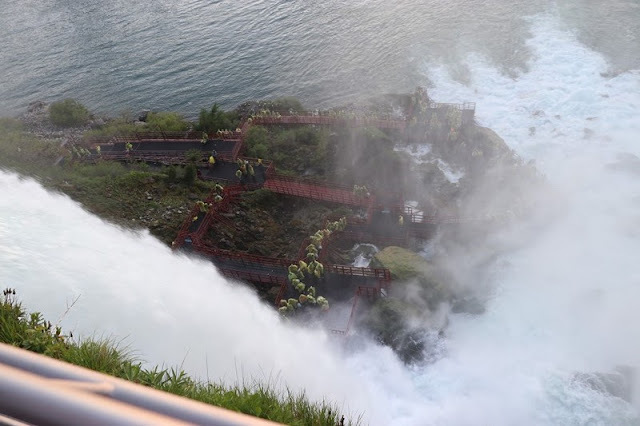 The Experience called "Cave of the Winds"
Whereas on Journey Behind the Falls on the Canadian Side, you can see the Fall gushing standing from the cave from a distance but not literally experiencing it touching you! For me, it wasn't that interesting. 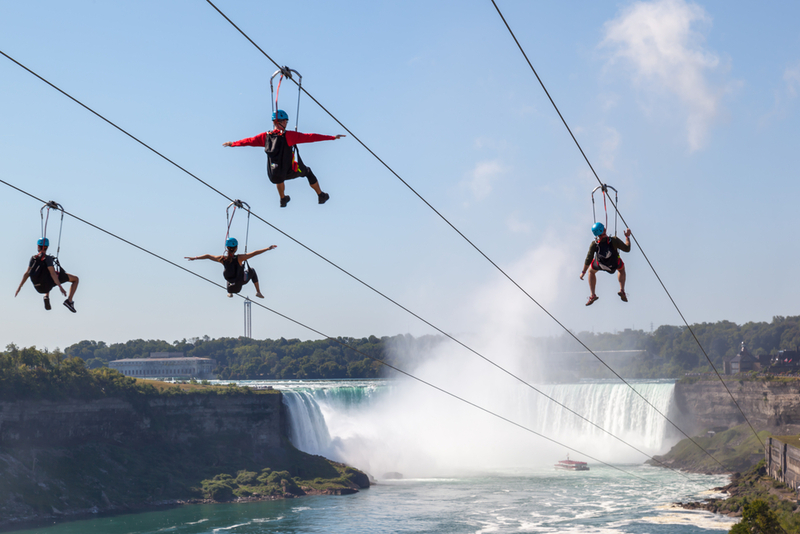 When it comes to Canada, Canada seems to have a little more activity than on the US’s side.The US side has observation deck, Maid of the mist, Cave of the winds, Aquarium, Trails, Helicopter rides , Spirit of the mist Native Dance Performance at Smoking Joes Native Center, Niagara Falls Culinary Institute, Jet boat tours etc ; Canadian side has Zip lining on the Niagara which had opened a year back along with White Water Walk, Hornblower Cruise, Journey Behind the Falls, Helicopter rides and Jet Boat Tours along with an access to WEGO pass which gives you access to hop on hop off bus in Niagara. The Niagara Parkway is a scenic drive running from Niagara-on-the-Lake, past Niagara Falls to Fort Erie, following the gorge which is also a great cycling route.You can take Whirlpool Jet Boat tours from Lewiston, NY on the US side which is 10 minutes from Niagara Falls and on 'Niagara on the lake' and 'Niagara Parkway' on the Canadian side. Both sides are illuminated during night. And on special occasions they have fireworks(like Memorial Day etc). So it makes sense to stay in the region during nights, so that one can quickly walk to the falls. If you like Big towns more compared to Small Towns, Canadian side would definitely be your choice. 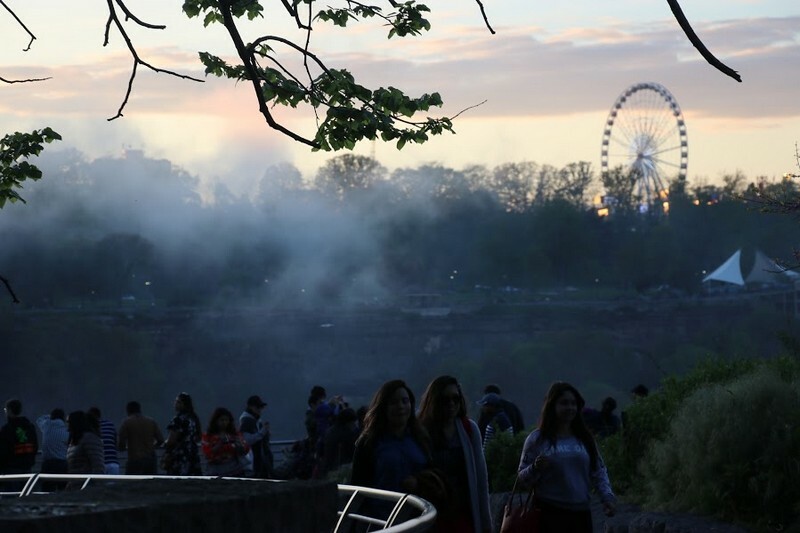 With plenty of Casinos and Shops and Wax Museum and Niagara Sky wheel Ride, the town of Niagara itself offers a lot on the Canadian Side.You can get a “Clifton Hill Fun Pass” that has 6 attractions. 20 minutes away is the scenic town of Niagara on the lake. 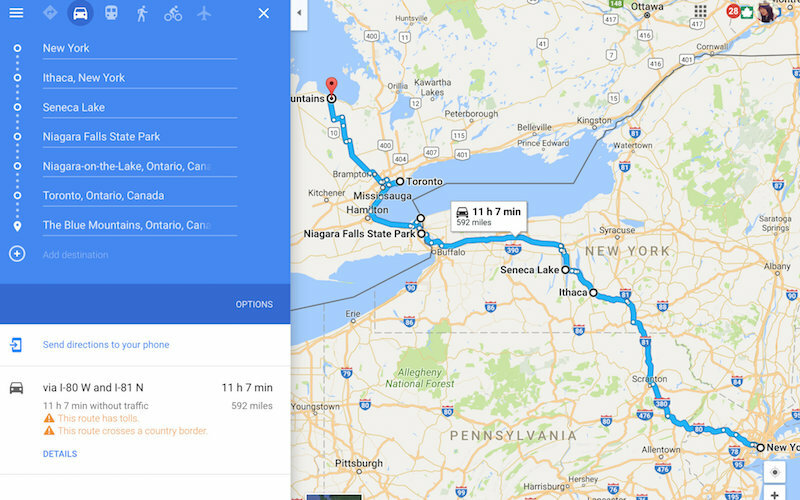 The bonus also is the next big city “Toronto” is not very far away - about an hour away and buses do go to Toronto from Niagara. Whereas on the US side, there are shops and the eateries for example , Twist O’ The Mist Ice Cream Shop and Third Pizza Bistro. Zaika also serves very good indian food. Buffalo is also famous for Buffalo Wings for example in Anchor Bar, Duff’s Wings. You also get good food on the Canadian side. A lot of people do take tours (take tours or viator) from New York. Its a drive of about 6-7 hours if you take your own car. So its a getaway from Big City "New York” as it is from big city “Toronto” except that Toronto is nearer. During weekends or long weeks, its pretty crowded on both sides. We went on Memorial day long weekend and the queues for the maid of the mist were tolerable but for Cave of the Winds, the queue was so long that we had to wait for about 2 hours in the queue. The wait is totally worth it though. Also, you get free “shoes” to wear on Cave of the Winds that I so liked. Freebies makes one so happy :). Also there are lot of parking ramps in US side which costs about $20 a day where you can park your car. Both sides have these banners where you can get your picture clicked( for example, there would a green screen and you stand in front of it and pose and then when the picture comes out, it is with the Niagara Falls in the background). The pictures are pretty good, but its still a hefty amount to pay which they tell you in the end and I generally avoid such touristy traps. I stayed in Sheraton on the Canadian Side last time I visited it, and the view was absolute gorgeous. 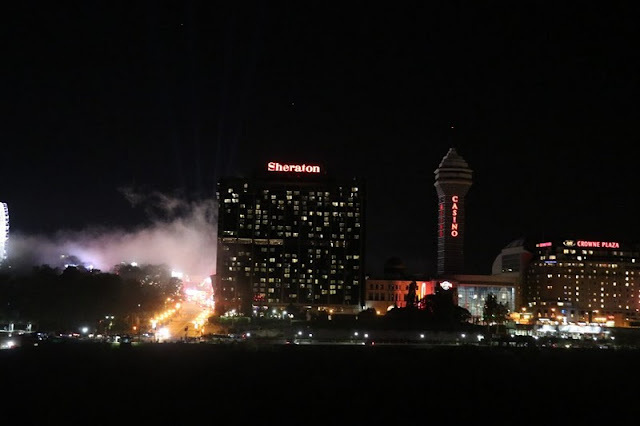 I could see Niagara 24*7 from my room itself and that is the luxury that staying on Canadian side can provide. I was part of the media on my last visit. 1000 Islands: Located on the peaceful border between Canada and US, is 1000 islands. 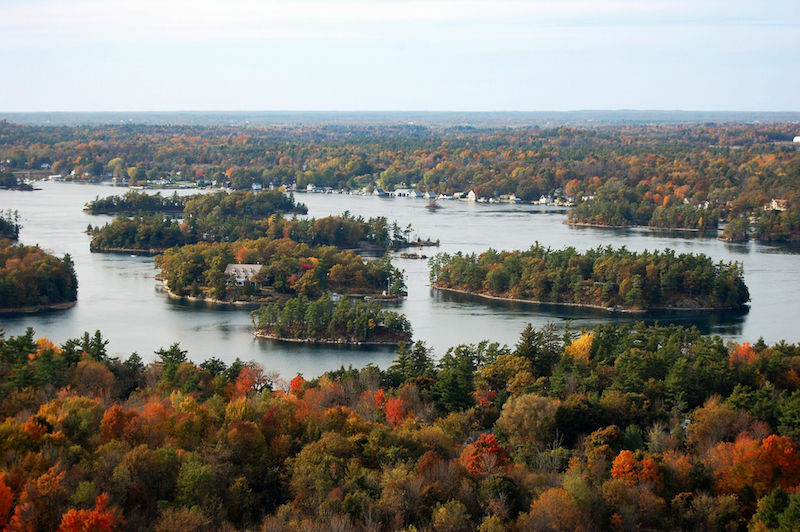 They have boat tours on the thousand islands and often it is included in the tour packages. Both towns have adjoining areas that allows plenty of fertile soil and warm air from the Niagara for Vineyards. While Niagara on Canadian Side has Niagara on the lake which is a pretty little town with horse carriages and famous for ice wine vineyards around the world; US has its own share of Finger Lakes region which I thoroughly enjoyed during Spring and has plenty of Vineyards and delicious Cuisines by the three lakes. 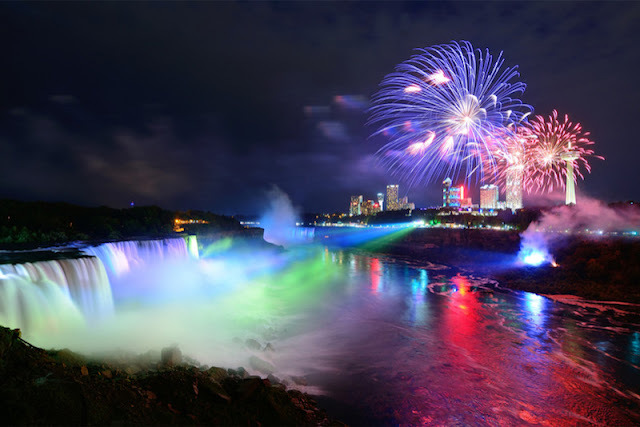 The Rainbow Bridge is the most direct route from Niagara Falls, New York, to Niagara Falls, Ontario. 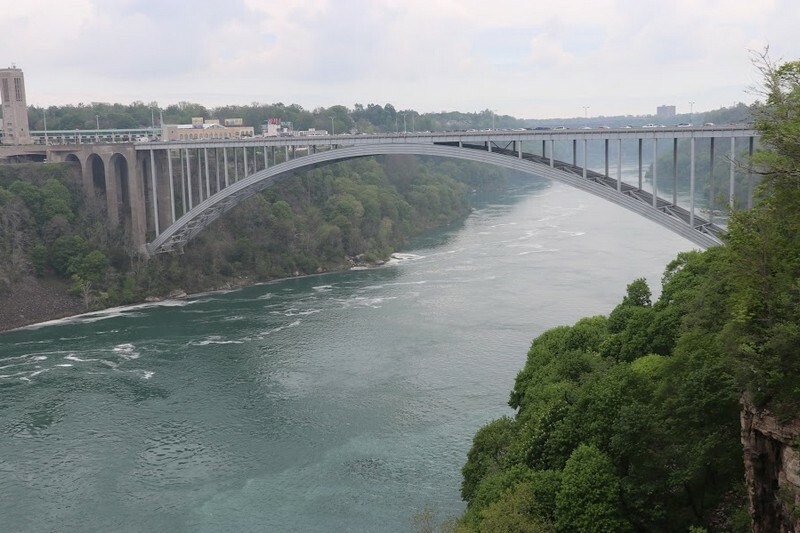 You can drive, walk or bike into Canada on this bridge, which also offers unprecedented views of the falls. Roughly five miles north is the Lewiston-Queenston bridge, which is a drive-only bridge. For visitors with a NEXUS trusted traveler card, you can take the Whirlpool Bridge, just two miles north of the Rainbow Bridge. All of the bridges require you to pay a toll. 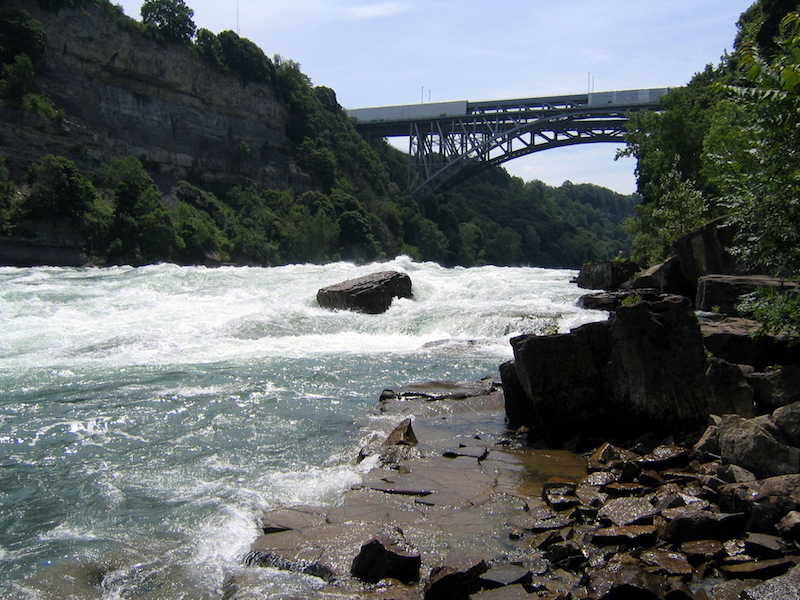 From the Canadian side to the US side, you can take the rainbow bridge. 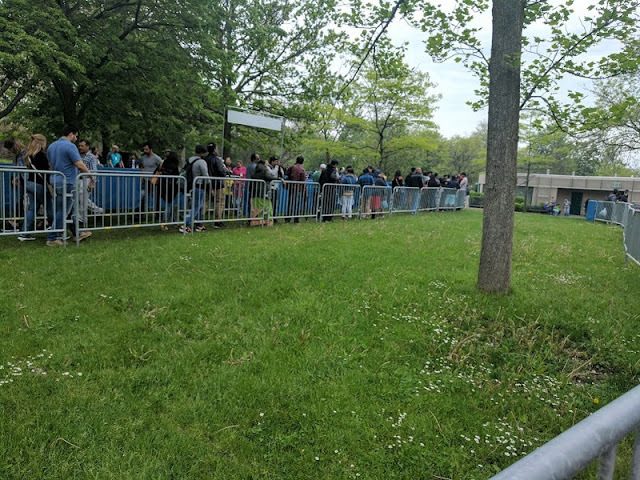 You can get a taxi to take you directly across or you can get a local bus or Falls Shuttle bus to take you close to the bridge if you choose to walk across. If traffic across the bridge is heavy, walking is much quicker. 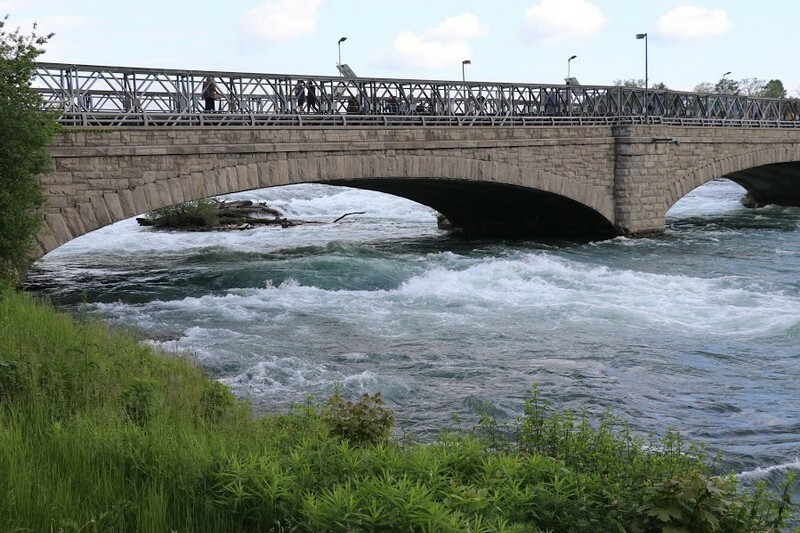 Verdict: For Niagara, both countries keep adding activities and new stuff. My suggestion would be "take Visa of both the countries"! We would henceforth, take you posts by posts starting from the US Side on to the Canadian Side and what are the places you must keep on both sides. 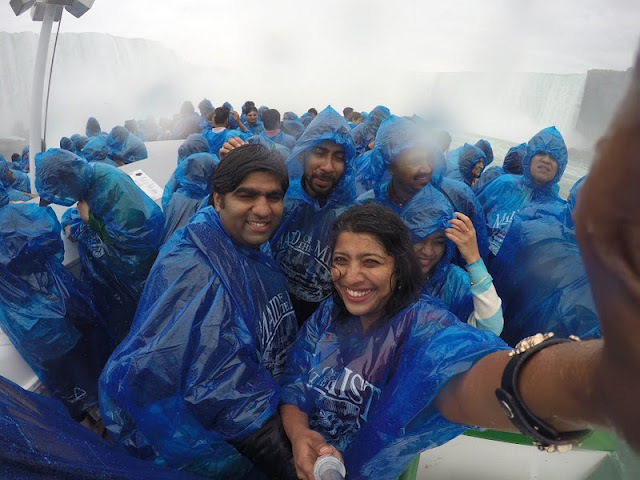 I believe Niagara is something that must be experienced and the adjoining towns cannot be missed, so don’t just do Niagara in 2 days. And since I enjoyed Finger Lakes so much, I feel its worthwhile a mention and visit. 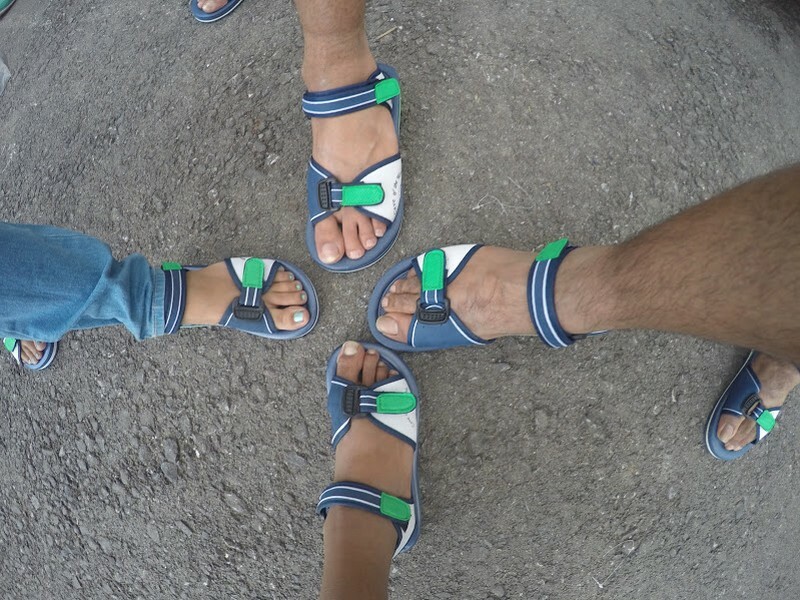 In fact one of our friend suggested to visit Watkin Glen which has gorges and Tathaguanath Waterfall on our way. 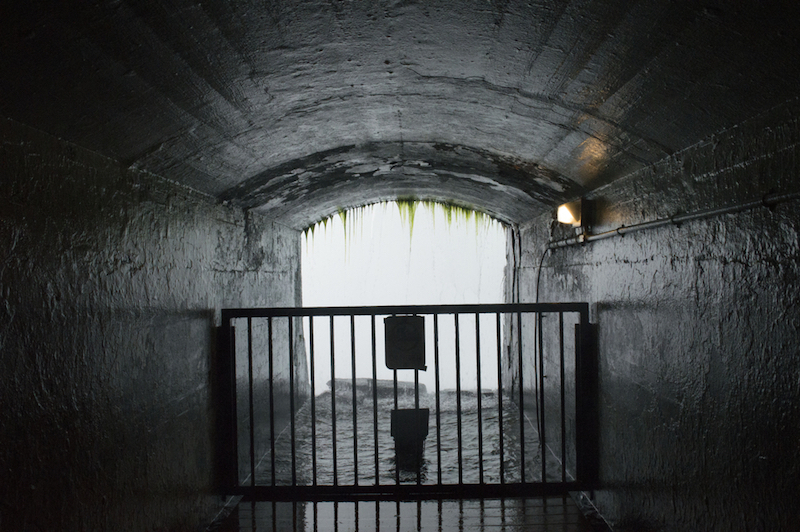 I had equally enjoyed Niagara on the lake on my visit to Canadian Side. So this is the path we follow for our next posts, and hopefully next time when you come here, you’d know what you like more. 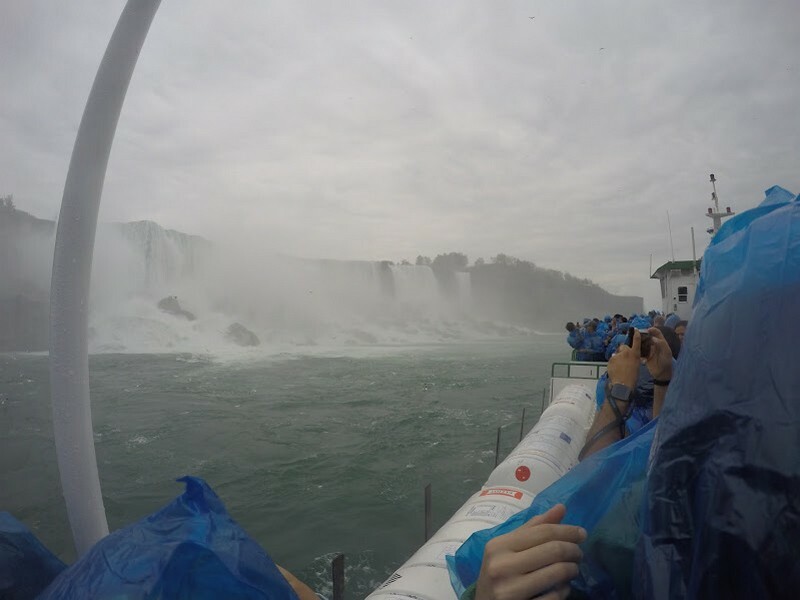 So, have you been to Niagara, which side do you like more?